Dupermag is is Child Theme Of SuperMag. You need to first install SuperMag ( https://www.acmethemes.com/themes/supermag/ ) to activate and use this theme. DuperMag is perfect theme for news, magazine, blog, reviews or personal sites. Full image blog and full image single post make it really cool. DuperMag extend the SuperMag theme with more beautifully crafted design. SuperMag comes with advanced custom widgets for posts and advertisement management. 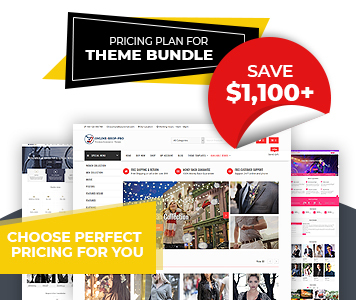 This theme have very beautiful features section with slider and site contents. You can manage them yourself. Boxed-Full layout, Sidebar options with left, right, no sidebar, also feature image display options in blog and archive pages. Add you own logo from the theme option. Enable-disable breaking news display in the header. You can change the search box layout on menu section. Two different layout will make it beautiful. Added new features for breaking news section. You have multiple options to customize the section. Change the image size/position on widget and blog page. You have this options on single page as well. You can make your sidebar sticky. If you don\'t like the sticky sidebar, you can disable it as well. Now, you can replace the logo on left, right or on middle. Experience the best features of the theme. You can place the header advertisement image on different position. You can place it on left, right or in middle.